BUT... 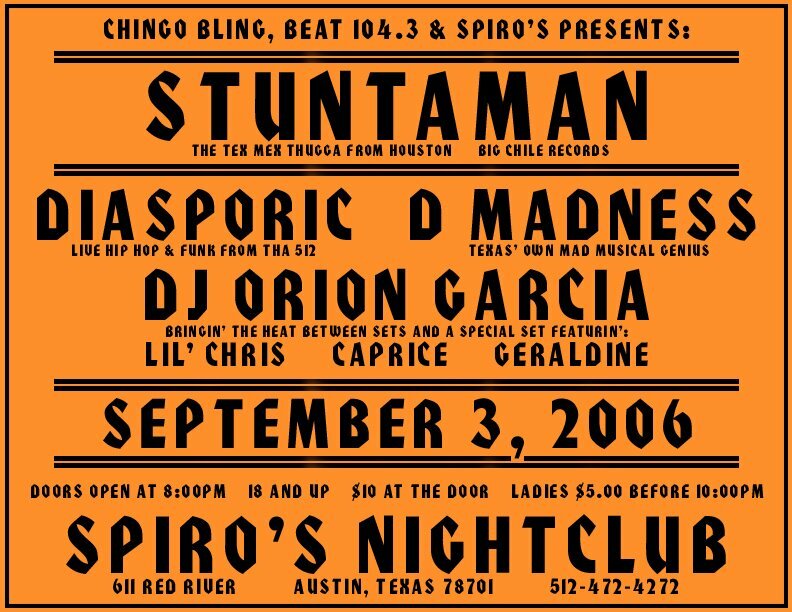 I'd go just to see Diasporic and D-Madness... if the RJD2 show wasn't going on. 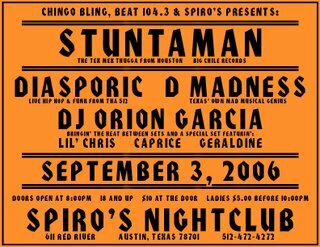 Remember at the Cut Chemist show it was said that they were going to bring someone special and that it might be DJ Spooky?!? Well while looking for more Gnarls Barkley info... I saw that it's mentioned on the AT&T Blueroom site. Sweet! So another free show at Waterloo Park on Sept 29th at about 7:30pm with DJ Spooky. Really makes me wonder how this helps their bottom lines like the Scion events. Curious. Who really cares right... free show! 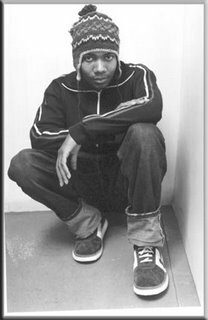 DJ Spooky, That Subliminal Kid (born Paul D. Miller, 1970), is a Washington DC-born illbient and trip hop musician, turntablist and producer. He borrowed his stage name from a character in a William S. Burroughs novel. In the mid-1990s, Spooky began recording a series of singles and EPs. His debut LP, Songs of a Dead Dreamer, is now widely regarded as a formative influence on illbient. Riddim Warfare (see 1998 in music) was an underground hit that include collaborations with Dr. Octagon and other cult figures in indie rock. 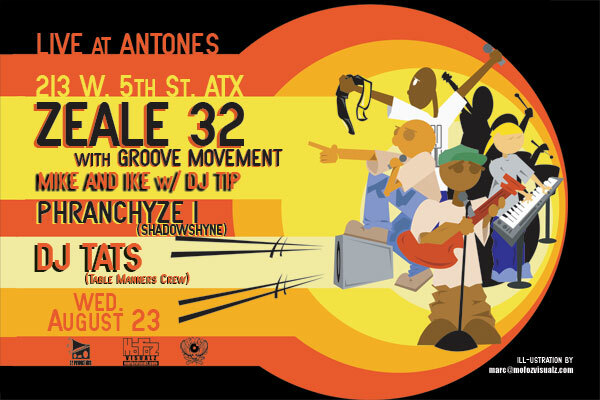 Disclaimer: Austin Hip-Hop Scene does not condone pulling drive-bys with light sabres. So now that you know about Nerdcore... mc chris is hitting Emo's Lounge on Oct 13th. 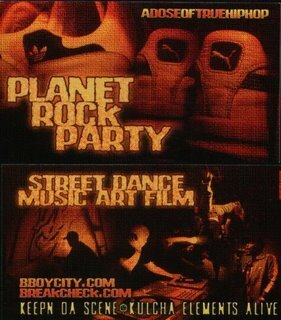 See ya'll tonight at the Planet Rock Party! I think I'm really diggin' these cats... never heard of them before... One Self is a 3 person group consisting of DJ Vadim, Yarah Bravo and Blu Rum 13... comin' out of London these guys look like they're hitting the scene pretty hard. They'll be at Emo's Lounge, Oct. 14th. So I'm coming back from Dallas over the weekend right... make a stop at the gas station to fill up and grab a bite to eat... walk by the chip isle and see some Funyuns... mmmh... pick a bag up with some Gatorade... get back to the car... and I'm thinking to myself... could these Funyuns be stale?!?... it was a gas station in the middle of nowhere... who knows how often they restock... so I take a bite out of one and almost spit it out... the taste was completely foreign to me as a Funyun... I take a look at the bag and they're WASABI Funyuns! After getting myself in the right state of mind... I enjoyed the rest of the bag. One Self is a collaboration of like minds. Meeting in the rich, divergent music scene of London, One Self brings together DJ Vadim, Yarah Bravo and Blu Rum 13 and a world of possibilities in a musical melting of global ideas. Vadim's prominent releases on Ninja Tune gave a platform to develop a touring unit of scratch dj's, rappers, musicians and beat boxers. This fluid group was known as the Russian Percussion and rocked over 600 shows worldwide in 3 years. One Self was a natural progression as the Children of Possibility Album took shape and the unit formed. The One Self band was premiered at London's famous Jazz Cafe to sell-out crowds, and has gone on to sell out venues including Cargo (London), The Red Club (St Petersburg) and have played at festivals to crowds of up to 14,000 at Hip Hop Kemp (Czech Republic), The Big Chill (UK) and Sonar Festival (Spain). Vadim's progressive production and adept song crafting is set by the vocal gymnastics of your friendly neighborhood MC, Blurum13 and the sultry spoken word of the Mistress of Poetic Invention, Miss Yarah Bravo. The debut album, Children of Possibility has received worldwide acclaim and is still just a glimpse of what will be to come from this group. Sharing their passion for life, music and performance with their audience, One Self aim to leave you with a smile on your face, a lift in your step, and an elevated soul. Just back from a 40 date tour of the US, One Self is performing in Europe this summer, and starting work on the eagerly anticipated second album. The vents are open and the cool air is blowin' and there ain't no stoppin' it! 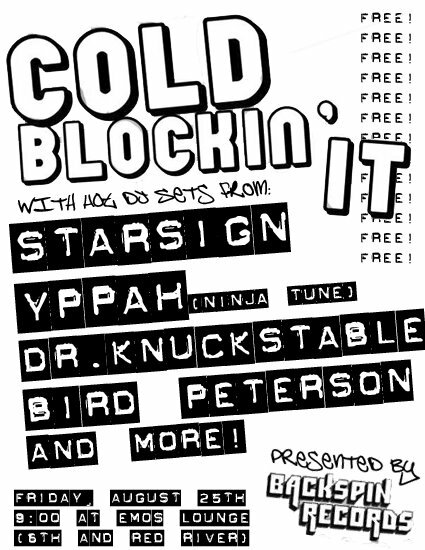 DJ Shadow comin' to Stubb's ya'll... Oct 1st... get your tix here! In addition Lateef the Truthspeaker joins him on stage. Should be a dope show. So been without a manager at work for several weeks now... boy it feels good... and I'm getting more work done... but all good things must come to an end... hopefully I can drive the next manager crazy again. 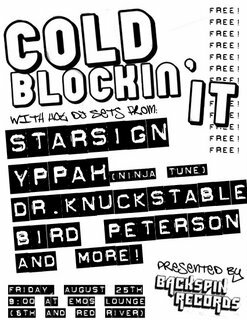 DJ Shadow spent his teenage years in Davis, California and was a DJ at the community radio station KDVS. During his time as a disc jockey, DJ Shadow was significant in developing the experimental hip hop style associated with the California-based Solesides record label. 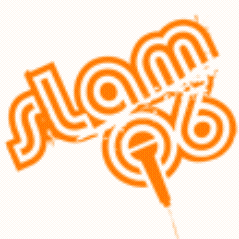 His early singles for the label, including In/Flux and Lost and Found (S.F.L. ), were genre-bending works of art merging elements of funk, rock, hip hop, ambient, jazz, soul, and used-bin found records. DJ Shadow is often cited as a leading creator of trip-hop, though this is a label he strongly contests. This is what you'll be droolin' all week for... itchin' for the weekend to come just to be able to pull that scab off... our boys Romeo and Santos and B-Boy City will be throwin' it down @ Tambaleo this Saturday Aug. 26th. 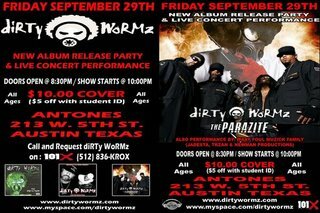 It's all in conjunction with the Austin Graffiti Art show at Gallery Lombardi mentioned earlier. First check out the show... then just walk over and get your crunk on at Tambaleo. It's a Puma vs. Adidas party... which one are you?!? Check out the latest installment of "Downtown" on KLRU featuring BBoy City. 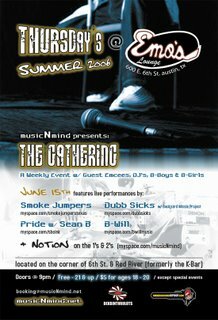 You've thought about going to The Gathering... maybe even throwin' it down during the open mic sessions... well come on out this Thursday, Aug. 17th for the Smoke Jumpers CD release show. Performing will be the Smoke Jumpers, Dubb Sicks, and as always DJ Notion! 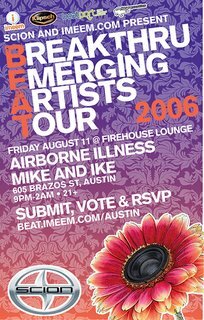 Enter the Smoke Jumpers, a collective of sound-bending artists immersed in the underground hip-hop scene. With members from Texas and California, and a wild variance of styles, the Smoke Jumpers have spent many sweat soaked hours in garages, closets, and even Motel 6s honing their own new sector of the soundscape they refer to as garage rap. A sound that can loosely be described as a concoction of down-south/third-coast and west-coast indie rhythms, layered with a lyrical framework that fuses the word-play of artists like The D.O.C., Wu-Tang Clan, and The Living Legends. Add in a little rock-n-roll edge and energy, and you have the foundations of garage rap. Members include WildCard and Mr. Roboto (Jag), formally of Austins pioneering Arctectonics crew, now stationed out of Austin, TX and Davis, CA respectively. Taking you back to the 80's. The Alamo Drafthouse is holding a Beastie Boys Rap-Along on Aug. 17th and Aug. 31st! Thanks to The Corner for letting us know! The Beastie Boys are a Jewish-American hip hop group from the New York City boroughs of Brooklyn and Manhattan. 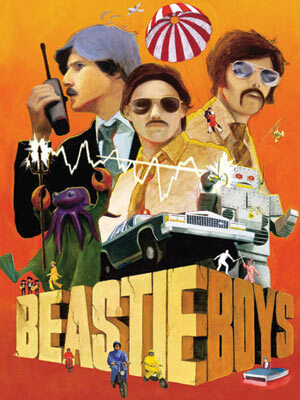 The main members are Mike D (real name Michael Diamond), MCA (Adam Yauch), and King Ad-Rock (Adam Horovitz). Beastie Boys were the first white rap group of any importance and one of the few acts from the early days of hip hop that still enjoy major success today. Their rock- and punk-influenced rap has had a significant impact on artists both in and outside the hip hop scene. 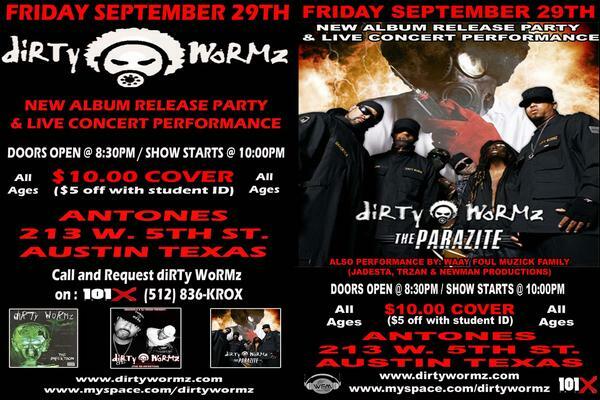 Dr. Octagon, AKA Kool Keith, AKA Black Elvis (or rather, should it be the other way around... Elvis should be the White Dr. Octagon... ya hurd ;) coming to Emo's Lounge on Sept. 23rd... also on-stage will be Clever Monkeys, Word Association, and DJ Notion! 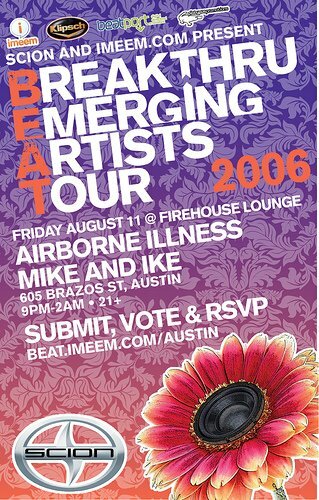 Remember the Cut Chemist show?!? The same crew (Alamo Drafthouse, Emo's, and AT&T) are throwing another free show at Waterloo Park with RJD2 on Sept 3rd! Ever live without A/C in this hot Texas sun?!? I have... the A/C guys coming tomorrow morning... but let me tell you what I've learned... NO matter how many clothes you take off, it's never enough... I've even resorted to shaving... if you know what I mean. ;) ooo... I wished I used shaving cream. 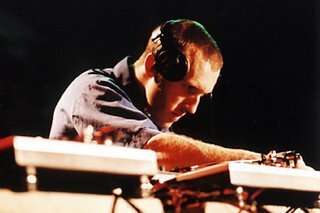 RJD2 originally began his career in Columbus, Ohio, DJing in 1993 with a pair of turntables bought from a friend. He claims his name originates from a friend who referenced him as "RJD2" in his raps, and the name stuck. 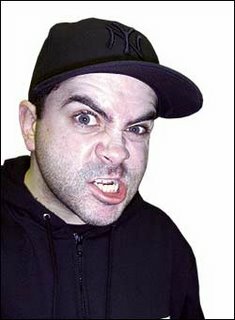 Originally working the role of DJ in the Columbus rap group MHz, he later signed to Bobbito Garcia's Fondle 'Em label, releasing the self-proclaimed "mix CD" Your Face or Your Kneecaps. 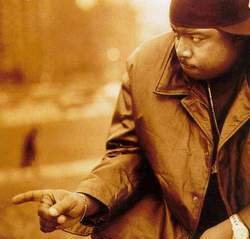 A year later he signed to rapper/producer El-P's label Definitive Jux, where he released his solo debut Deadringer. 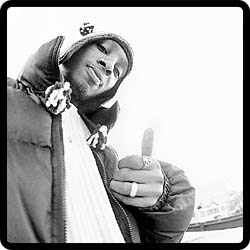 In 2002 RJD2 collaborated with Columbus rapper Blueprint under the name Soul Position, releasing Unlimited EP, and 8 Million Stories in 2003. He released his second solo album Since We Last Spoke on Definitive Jux in 2004 and released Soul Position's third album Things Go Better With RJ and Al in 2006. 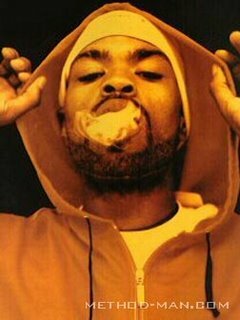 He still continues to produce tracks, working with many independent rappers, such as Copywrite, Cunninlynguists, MF Doom, Diverse and Aceyalone. Recently he contributed a cover of "Airbag" by Radiohead for the 2006 album "Exit Music".